Congratulations to the British media, from the We-Are-Great-Britainness of the Daily Telegraph to the We-Are-Liberal-Honestness of The Guardian. With a commendable unanimity, they have decided to throw the toilet as well as the kitchen sink at The Most Dangerous Man In Britain, Jeremy Corbyn. Why is he Dangerous? Because he’s anti-Semitic. Corbyn has been around in British politics for more than thirty years; but it seems it’s only now we’re having the mask stripped away. Apparently that’s not quite good enough, because, his own MPs say it’s not exactly the same as the definition of anti-Semitism that all other countries have adopted. In the welter of anti-Corbyn attacks, it’s hard to establish just what is lacking in the Corbyn definition. Maybe it draws a clear distinction between being anti-Semitic and being anti-Israel. And that would never do. This is the latest attempt to bring down Corbyn. 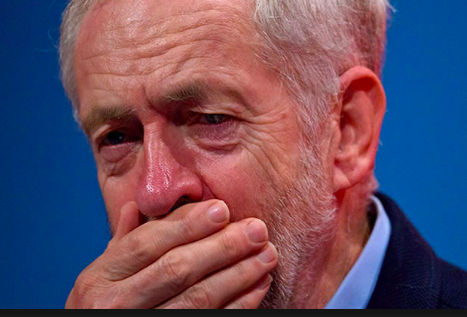 Since he won the leadership of the Labour party, and especially since he led the party to a far improved performance in the British general election , the attacks on Corbyn have been constant, especially from other Labour MPs. Yesterday he deputy leader, Tom Watson, was putting the boot into him; this morning Yvette Cooper was on BBC Radio Four attacking him. Why the continued assaults on a man who’s brought tens of thousands of new members into the Labour party? Simple: he wants to change Britain. He’s an actual socialist, and that scares to death not just the Tories but the establishment figures in the Labour parliamentary party , who worry that their disloyalty to Corbyn may be rewarded by deselection for the next British general election. I would suggest that Jeremy Corbyn should have a word with Gerry Adams, who has also been accused and abused in the British media. It’s the fear that this Labour leader may want to truly change British society that frightens the status quo fans. And that just simply could not be tolerated. Corbyn and Adams are identical in that the mainstream media don’t mind what they say about either man, providing it’s bad. Adams, however, is fortunate in one respect: he didn’t have the elected members of his own party lining up to plant a knife between his shoulder blades. Hang in there, Jeremy. And at the next general election, de-select the lot of them. At present they’re throwing the stones handed to them by their Tory chums; but Corbyn may prove more durable than they think.